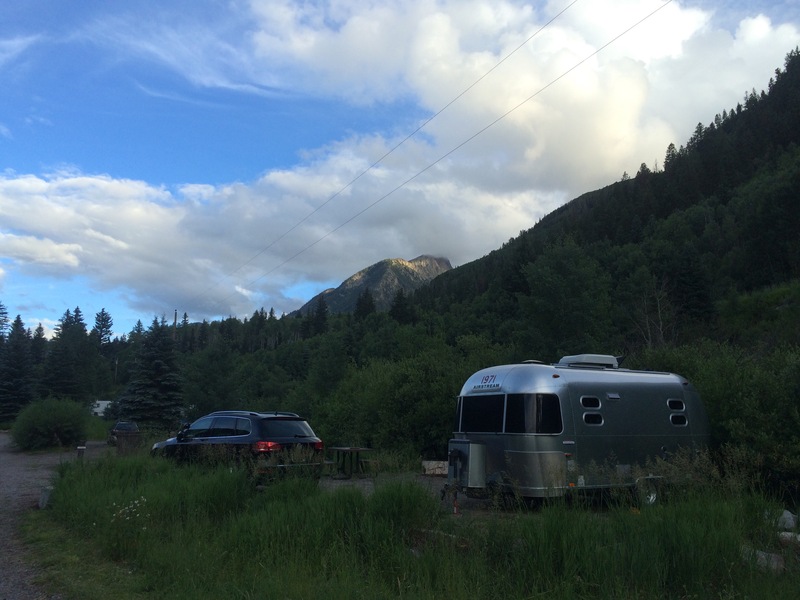 In search of a sunnier Colorado, we leave lower mineral campground and head towards Ouray and Montrose. 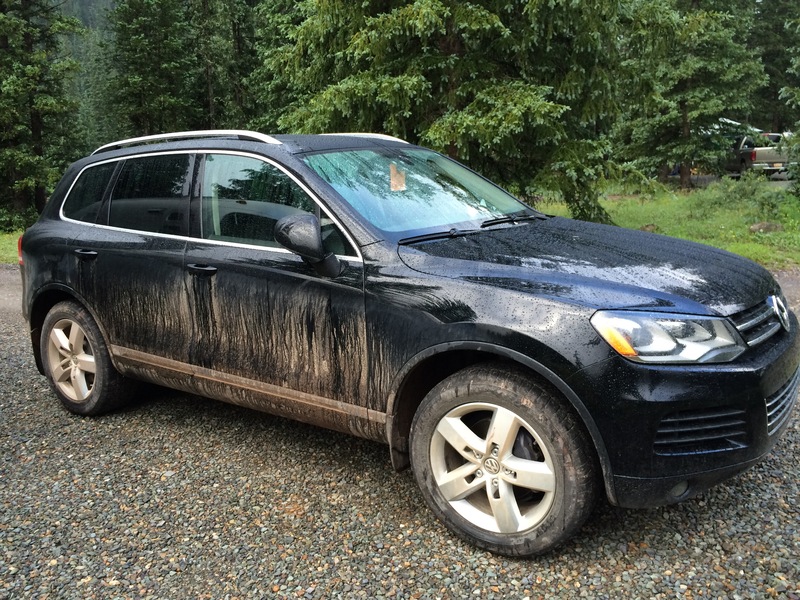 The car is covered in Colorado. 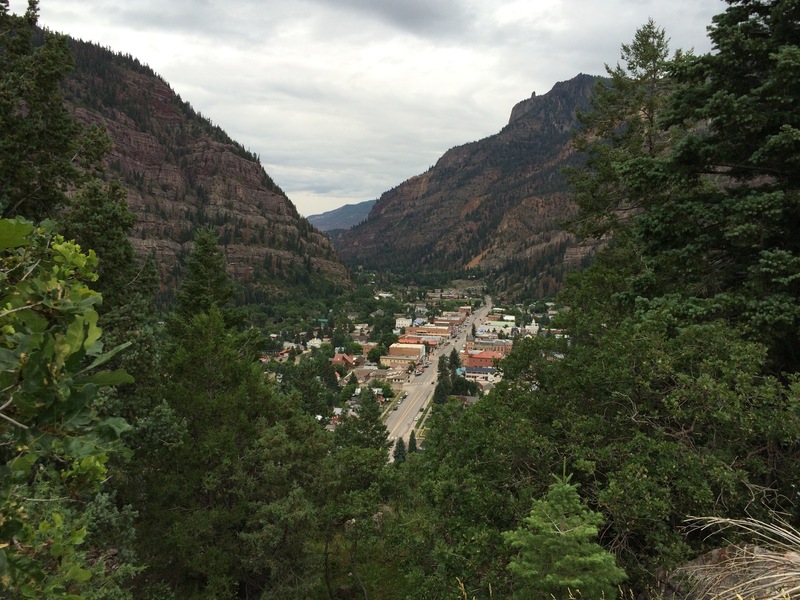 And we hea up, and down, and up, and down the Million Dollar Highway towards Ouray (from Silverton). Gaurdrails are overrated. Breakfast in Ouray, then more guardrail-less fun. Picked up hiking boots for Tim, and a car wash, in Montrose, then on to Black Canyon of the Gunnison. It’s a really unexpected Park, growing out of Montrose. 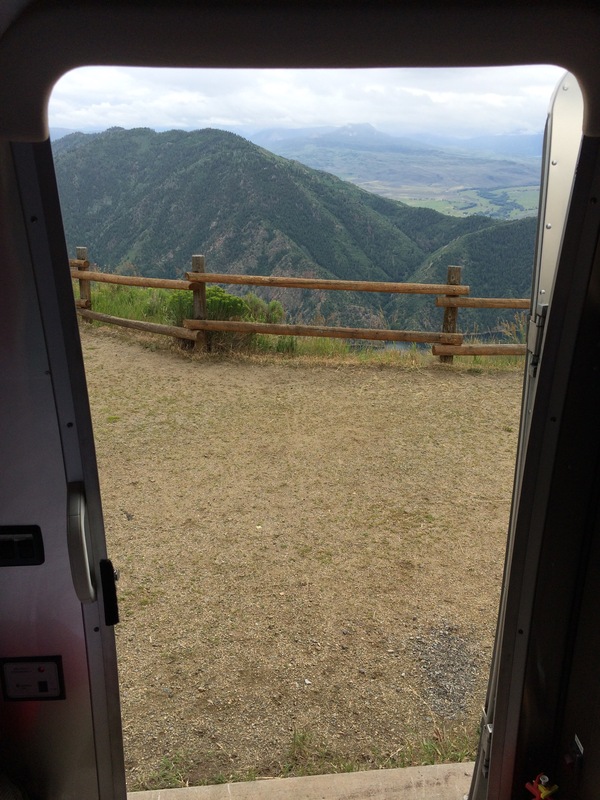 Then we took the “scenic route” to Marble, Colorado via the West Elk Loop (92). I would love to make this drive again. In a Miata. 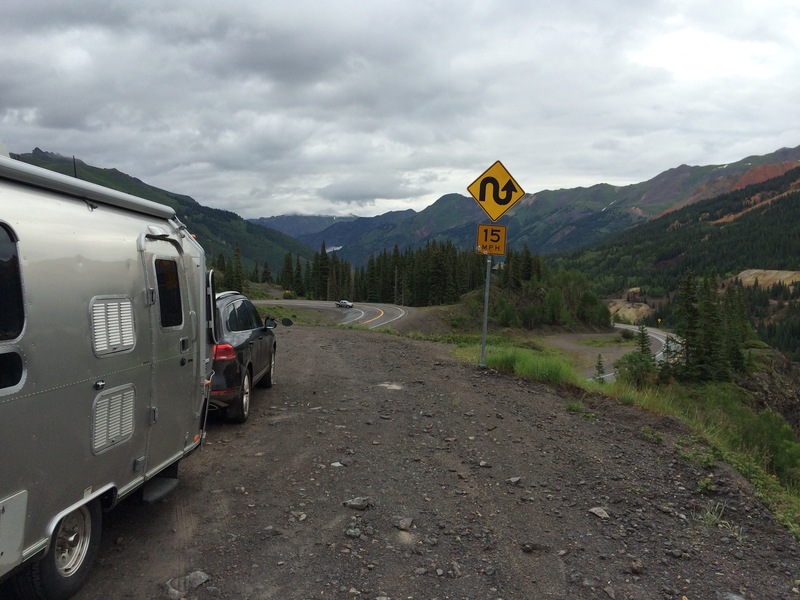 I have 20,000 miles or more of trailer towing across the US under my belt, but I’ve never been on a road like this. There wasn’t much opportunity to pull over for photographs, but I did at the top rest station near Crawford, CO. Amazingly, on the entire trip, I was only passed once and never over took another vehicle. The road was virtually deserted. We went over McClure Pass, and decided to pass on the densely wooded campground there in favor of Bogan Flats Campground in the White River National Forest No reservations, but once again, super friendly campground hosts Doug and Jeri recommend site 28 with that great view, along the river. Thank you for more phenomenal photographs of my favorite part of the world, Dan. 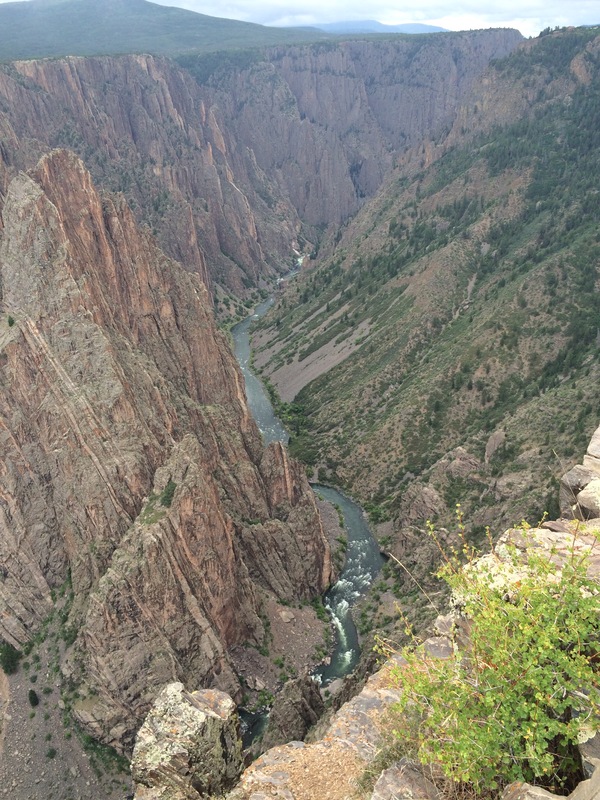 Red Mountain Pass and the Black Canyon of the Gunnison on the same day. It doesn’t get better than that. I’m super impressed by your driving (and towing). There are people who own small passenger cars that are terrified of the Million Dollar Highway. Well done!